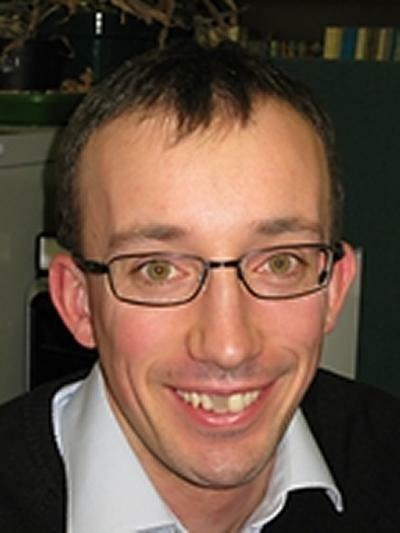 Dr Simon Blainey is an Associate Professor in Transportation within Engineering and Physical Sciences at the University of Southampton. I am an Associate Professor at the University's Transportation Research Group, with particular expertise in rail transport but with experience of work relating to all transport modes. From an early age I have had a keen interest in all facets of transportation systems and their relationships with wider society and the physical environment. Transport plays a crucial role in enabling and creating the complex linkages which allow our society to function, but also poses a threat to the continued existence of that society through the demands it makes on natural and human resources and the damage it causes to the environment. Through my work at TRG I aim to make a contribution to the development of a transport network which is more sustainable, more efficient, and less costly to users, government and the environment. This aim is central to both my research and my teaching, full details of which are provided on the relevant tabs below. My research interests are centred on understanding and modelling the interdependencies between transport and other human and natural systems. I am a geographer by background and have made extensive use of geographical information systems and spatial modelling techniques in my research. My work initially focused on rail transport, but I have subsequently carried out research relating to nearly all major transport modes. I am currently a Co-Investigator on four large scale multi-institutional inter-disciplinary projects. I am a Co-I on the EPSRC-funded Infrastructure Transitions Research Consortium (ITRC) MISTRAL project, and am leading the development of the national transport element of the ITRC's National Infrastructure Systems Model, which is currently being used by the National Infrastructure Commission. I am also co-leading work on whole life cost and carbon modelling for railway track systems (with Prof. John Preston) as part of the EPSRC-funded Track to the Future project, having previously worked as a researcher on the earlier Track 21 project. I am leading Southampton's input to the EPSRC-funded DICE project, which considers the relationship between data security and the rail customer experience. I am also a Co-I on UKCRIC Strand 3, the Data Analytics Facility for National Infrastructure, which will enable unprecedented understanding of complex cities and infrastructures to inform planning, design and management. I have extensive experience in rail research, and am currently leading a RSSB/RRUKA-funded study on predicting and mitigating small fluctuations in station dwell times. I have established a reputation domestically and internationally as an expert in rail demand modelling and appraisal, providing peer review and guidance to government bodies in the UK and overseas. I have also carried out rail demand forecasting projects for clients including the Association of Train Operating Companies, the Welsh Government, the Department for Transport and Transport for London, as well as EPSRC-funded research. This research has covered a number of different topics, focusing particularly on making use of innovative techniques such as GIS and Geographically Weighted Regression to explain and forecast the use of rail networks. My background in geography means that I am also interested in researching a range of issues associated with the development of a more sustainable transport system, and in the history of public transport systems. There is a common perception (even amongst some transport professionals) that the rail network is in a state of decline, but in fact nothing could be further from the truth. UK passenger rail use is currently at record levels and, despite the recent economic downturn, growth in rail travel seems likely to continue. This growth will be accentuated by the need to reduce carbon emissions to meet government targets, which will necessitate considerable mode shift from private to public transport. Expansion in capacity will be required to accommodate these additional rail passengers, and there are a large number of schemes proposed for new railway services, stations and lines. However, only limited funds are available to implement such schemes, and it is therefore important to ensure that this money goes to the projects which will deliver the greatest benefits to passengers in the most cost-effective way. In order to achieve this, a range of work has taken place at the University of Southampton Transportation Research Group to develop modelling and appraisal procedures for assessing the likely performance of schemes to improve rail services. The key objective of this project is to develop a software tool capable of providing forecasts of the demand impacts of new railway stations sited at any location in Great Britain. Pant, R., Hall, J. W., & Blainey, S. (2016). Vulnerability assessment framework for interdependent critical infrastructures: case-study for Great Britain’s rail network. European Journal of Transportation and Infrastructure Research, 16(1), 174-194. Blainey, S. P., Hickford, A. J., & Preston, J. M. (2013). Barriers to rail use: what stops people taking the train? Rail Professional, (190), 61-62. Blainey, S. P., & Preston, J. M. (2013). Modelling UK rail demand and capacity to 2100. Rail Technology Magazine, 17, 17. Blainey, S. P. (2010). Making a case for new railway stations. ATCO News, (134), 4-7. Mulley, C., Higginson, M., Blainey, S. P., Swallow, K., Hibbs, J., Axten, A., ... Yearsley, I. (Eds.) (Accepted/In press). Companion to road passenger transport history. Swansea, GB: Roads and Road Transport History Association. Blainey, S. (2018). Passenger rail structure and reform. In J. Cowie, & S. Ison (Eds. ), Handbook of Transport Economics (pp. 17-30). Abingdon: Routeledge. Stanton, N., McIlroy, R. C., Harvey, C., Preston, J., Blainey, S., Hickford, A., & Ryan, B. (2017). Exploring the constraints of modal shift to rail transport. In N. A. Stanton, P. M. Salmon, G. H. Walker, & D. P. Jenkins (Eds. ), Cognitive Work Analysis: Applications, Extensions and Future Directions (pp. 207-231). CRC Press. Tran, M., Byers, E. A., Blainey, S. P., Baruah, P., Chaudry, M., Qadrdan, M., ... Jenkins, N. (2016). Quantifying interdependencies: the energy-transport and water-energy nexus. In J. W. Hall, M. Tran, A. J. Hickford, & R. J. Nicholls (Eds. ), The Future of National Infrastructure: A System-of-Systems Approach (pp. 227-240). Cambridge, GB: Cambridge University Press. Blainey, S. P., & Preston, J. M. (2016). Transport Systems Assessment. In J. W. Hall, M. Tran, A. J. Hickford, & R. J. Nicholls (Eds. ), The Future of National Infrastructure: a System-of-Systems Approach (pp. 88-113). Cambridge, GB: Cambridge University Press. Nugraha, A. T., Waterson, B., & Blainey, S. (2018). A modelling framework of land-use and transport interaction to assess co-evolution of port and urban development. Paper presented at 50th Annual Conference of the Universities’ Transport Study Group, London, United Kingdom. Blainey, S. (2017). Changing commutes and the changing future of urban transport. Urban Studies Seminar, Southampton, United Kingdom. Lovric, M., Blainey, S., & Preston, J. (Accepted/In press). Designing a road traffic model for the cross-sectoral analysis of future national infrastructure. Paper presented at International Symposia for Next Generation Infrastructure, London, United Kingdom. Ives, MC., Silberman, A., Letti, B., Blainey, SP., Choundry, M., Baruah, P., ... Hall, JW. (Accepted/In press). Mapping out the landscape of long-term national infrastructure demands for the U.K.’s National Infrastructure Assessment. Paper presented at 5th International Symposium for Next Generation Infrastructure, London, United Kingdom. Treharne, H., Wesemeyer, S., Schneider, S., Ross, T., May, A., Cockbill, S., ... Casey, M. (2017). Personalised rail passenger experience and privacy. Blainey, S., Pant, R., & Thacker, S. (2016). Towards a multi-scale multi-modal model of infrastructure interdependence. RGS-IBG Annual International Conference , London, United Kingdom. Pant, R., Hall, J. W., Blainey, S. P., & Preston, J. M. (2015). Assessing single point criticality of multi-modal transport networks at the national-scale. Paper presented at 25th European Safety and Reliability Conference, Switzerland. Blainey, S. P., & Preston, J. M. (2015). Predict or prophesy? Modelling British transport demand and capacity to 2100. 47th Universities’ Transport Study Group Conference, United Kingdom. Preston, J. M., & Blainey, S. P. (2015). The Channel Tunnel Rail Link in the UK: is it all that it seems?. Paper presented at Twenty Years Under The Channel And Beyond, France. Shi, Y., Blainey, S. P., & Hounsell, N. B. (2015). The improvement of bus networks based on GIS technology. Paper presented at RGS-IBG Annual International Conference, United Kingdom. Park, D. S., Preston, J. M., & Blainey, S. P. (2014). A model of modal shift policies in Seoul, Korea. Paper presented at 46th Universities' Transport Study Group Conference, United Kingdom. Pant, R., Blainey, S. P., Hall, J., & Preston, J. M. (2014). Assessing risks to inform resilience: a criticality assessment of the British railway network. Paper presented at International Symposium On Next Generation Infrastructure, Austria. Blainey, S. P. (2014). Construct or constrain? Intermodal inconsistencies in infrastructure interventions. ITRC Conference on the Future of National Infrastructure Systems and Economic Prosperity, United Kingdom. Blainey, S. P., & Preston, J. M. (2013). Assessing long term capacity and demand in the rail sector. Paper presented at 13th World Conference on Transport Research, Rio de Janeiro, Brazil. Blainey, S. P., & Preston, J. M. (2013). Extending geographically-weighted regression from points to flows: a rail-based case study. Paper presented at 45th Annual UTSG Conference, United Kingdom. Blainey, S. P., Hickford, A. J., & Preston, J. M. (2013). Planning transport networks for an uncertain future: a UK case study. Paper presented at European Transport Conference 2013, Germany. Blainey, S. P., & Mulley, C. (2013). Using geographically weighted regression to forecast rail demand in the Sydney region. Paper presented at 36th Australasian Transport Research Forum Conference, Australia. Blainey, S. P., Preston, J. M., & McLeod, F. N. (2012). A long term capacity and demand assessment model for the UK transport system. Paper presented at European Transport Conference, United Kingdom. Armstrong, J., Blainey, S. P., Preston, J. M., & Hood, I. (2011). Developing a CUI-based approach to network capacity assessment. Paper presented at 4th International Seminar on Railway Operations, Modelling and Analysis, Rome, Italy. Blainey, S. P., & Evens, S. (2011). Local station catchments: reconciling theory with reality. Paper presented at European Transport Conference, United Kingdom. Blainey, S. P., Preston, J. M., Armstrong, J., & Hickford, A. J. (2011). Where the train doesn’t take the strain – an analysis of inter-urban journeys where rail is an unattractive option. Paper presented at 4th International Seminar on Railway Operations, Modelling and Analysis, Rome, Italy. Blainey, S. P., & Preston, J. M. (2010). A geographically weighted regression based analysis of rail commuting around Cardiff, South Wales. Paper presented at 12th World Conference on Transport Research, Portugal. Blainey, S. P., & Preston, J. M. (2010). Gateways to prosperity? The long term impacts of new local railway stations. Paper presented at European Transport Conference, United Kingdom. Blainey, S. P. (2008). Some Issues in Modelling New Local Rail Services. Paper presented at 40th Annual Conference of the Universities' Transport Study Group, . Preston, J. M., Blainey, S. P., Wardman, M., Chintakayala, P. K., Heywood, C., Sheldon, R., & Wall, G. T. (2008). The effect of station enhancements on rail demand. Paper presented at European Transport Conference 2008, . Evans, A. W., & Blainey, S. P. (2007). Fatal European railway accidents: 1967-2005. Paper presented at 39th Annual Conference of the Universities’ Transport Study Group, Harrogate, United Kingdom. This module provides comprehensive coverage of the main features of railway engineering and operations, including topics ranging from system planning through to the impacts of noise and vibration. I lead the module and teach sessions on rail system planning, signalling systems, station and interchange design, light rail and high speed rail. This module covers a range of practical techniques used by transport planners. I lead the module and teach sessions on transport planning measures, planning for pedestrians and cyclists, and transport users and user engagement. This module provides students with an understanding of economic theory as applied to transport, including demand, supply and pricing theory. It also considers economic appraisal and evaluation methods and their application in developing and developed countries, and the links between transport and the wider economy. I give lectures on cost benefit analysis and appraisal. CENV6152 Project Economics and Management. This module provides a systematic understanding of how civil and environmental engineering topics work in financial, economic, social and environmental terms. I give lectures on cost benefit analysis and related techniques. This module provides students with knowledge and experience of a range of transport modelling techniques at different scales. I lead a lecture and practical system on the use of Geographical Information Systems (GIS) in a transport context. This model explores issues around the management of transport systems from a range of perspectives. I lead a session on resilience engineering for transport systems. This module introduces students to a range of issues relating to transport planning, policy-making, and governance. I lead sessions on the background to transport planning, the development of transport systems, theoretical models of transport systems and networks, transport trends, transport policy around the world, and strategic transport planning. This module provides a comprehensive overview of the main features of logistic system operations. I lead a session on rail freight systems. I will also consider supervising postgraduate research students on topics which relate to my main research interests. Please contact me if you would like to discuss a potential project. My career at TRG began in 2006, when I started work on a PhD on demand forecasting for new local railway stations and services. While undertaking my PhD research I reached the final of the 2007 BA Perspectives competition, and won the 2009 Smeed Prize for the best student paper at the Universities' Transport Study Group Annual Conference. In 2009 I was awarded an EPSRC PHD+ research fellowship to undertake a project titled ‘A Decision Support System For Optimising Local Rail Networks'. My contract was subsequently extended to allow me to work on a range of research projects relating both to rail and to transport more widely (see my ‘Research' tab for more details). I was appointed to a lecturing post at TRG effective from February 2014, having previously been promoted to the position of Senior Research Fellow in 2012. Throughout my career I have worked hard to disseminate my research to interested parties in academia, government and industry and to the general public. I am a member of the Rail Research UK Association Executive Committee, a Fellow of the Royal Geographical Society and Secretary of its Transport Geography Special Interest Group, a member of the Chartered Institution of Highways and Transportation, a Fellow of the Higher Education Academy and a Chartered Member of the Chartered Institute of Logistics and Transport. In 2012 I spent time as a Visiting Researcher at the Institute for Transport and Logistics Studies, University of Sydney, and I was Honorary Secretary of the Universities' Transport Study Group from 2011-2012. Before moving to TRG I obtained an MSc in Transport from Imperial College London and University College London, and a first class honours degree in Geography from the University of Oxford. During both degrees I undertook transport-related research projects, looking respectively at the occurrence of fatal railway accidents across Europe, and the potential for microfranchising of local UK rail operations. I also gained first-hand experience of working in the transport industry as a travel advisor for First North Western Trains and carrying out public transport surveys for Flintshire County Council. Alongside my work at TRG between 2006 and 2013 I was project manager for a major new encyclopaedic reference work, the ‘Companion to Public Road Transport History'. This involved coordinating the work of a ten member editorial board and over 140 individual authors, to produce a 400,000 word book which was published in December 2013.